Emotional Vocabulary: Learn The Real Meaning Behind The 7 Most Common Emotions That Your Soul Tries to Communicate With You! An emotion is a driving force that dictates how we speak, think, perceive things, and act in a given moment. Most of our perception is governed by the state of our emotional self. 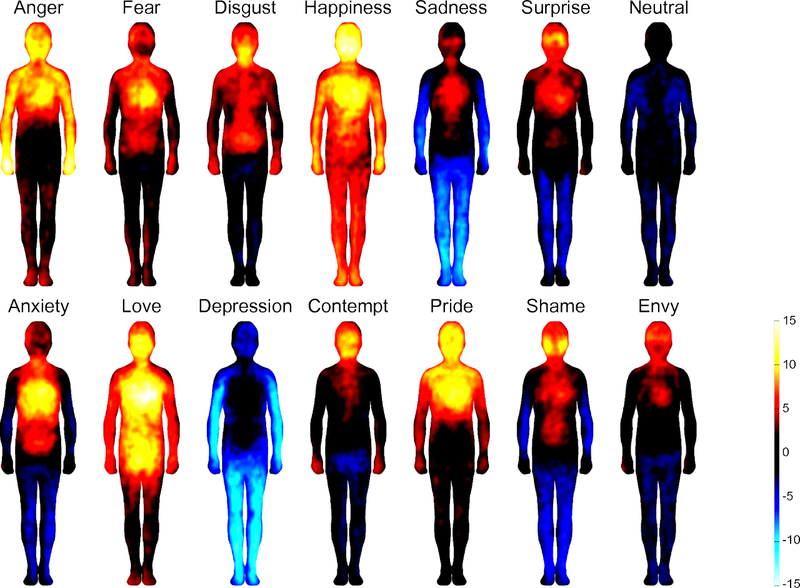 Emotions really are just the way our energy behaves. They are triggered by certain psychological factors and each of them tell us a different message, like words. Giving a name to these emotions is essential for our well-being because it helps us better differentiate them and express them without feeling too overwhelmed. Once we familiarize our self with these emotions, we will understand their subtle differences and meaning. Anger has a bad reputation of being a negative emotion. However, feeling angry helps us in many ways like setting boundaries, protecting our sense of self, and giving ourselves the courage to stand in the world. If we don’t feel any anger, people will take advantage of us while too much of it is also offensive of the rights of others. Anger is a weapon we can use to stand against any injustice committed, whether against us or against others. 1. What am I protecting? 2. What should I restore? If you are feeling constantly angry, acknowledge the possibility of depression, especially in men. If really small things make you annoyed and irritated, check in with your doctor or therapist. It might mean that your mental energy is being depleted in some way. Remember, your emotions are not there to cause you any harm, they’re a part of the vocabulary your heart uses to tell you what’s going on inside you. Fear is a defensive tool of your psyche to help you avoid any harm or injury. It tells us when there is possible danger. But most of the time, the fear we feel in today’s society is irrational and not associated to any real danger but rather our mind’s resistance to change. In most cases, our fears paralyze us and prevent us from taking action. Sometimes fear might even be what’s putting us in danger. It’s important that we see fear as it is, understand where it’s coming from and all the other emotions related to it. We need to realize that it’s only an emotion that serves to protect us, but it’s us who need to make the ultimate choice. 1. Is there any real and immediate danger? 3. Is this fear repetitive or unhelpful? It’s important that you calm your mind as soon as fear arises. By then, you’re able to think clearly what your fear is telling you and take the necessary steps at the time being. Even more, you can use your fear as a reminder that what you plan to do requires additional planning. The main purpose of fear is to prime our brain, muscles, and senses to take the necessary actions. But if it’s stuck in a feedback loop, it makes us suffer from overwhelm and exhaustion which isn’t good for our body. Seek help from a doctor or therapist when you experience repetitive fears, worries or anxieties even when there’s no sign of imminent danger. Happiness is highly regarded as the emotion that everyone must feel. We work, we do things, we buy stuff and so on just to find happiness. But that’s like finding a favorite word and reading pages of books that contain only that word. The purpose of reading is not to find a certain word, but to understand the meaning of the book. The same way feeling emotions is not about looking for happiness but for understanding what your soul is trying to tell you through your emotions and better understanding yourself and your purpose. Happiness tells us what resonates with our soul and true self. It’s a sign that we are doing something right, something that fills our soul. We should learn from this. It’s not about looking for things that make you happy for the sake of being happy, but looking why those things make you happy for the sake of going towards a direction that resonates with your soul. It might look like a lovely rest stop, but happiness is not the only emotion we need. Just like any other emotions, we must treat it as an emotion that comes and goes. The danger of working only for happiness is to avoid all the other emotions which also play a big part in our growth and well-being. The good news is that when we get to know ourselves better and follow what resonates with our soul we tend to become happy and contented without looking just for happiness. Sadness is not a negative feeling like most people assume. There is healthy sadness that all people feel. It’s when we try to run away from it that this emotion becomes negative. This emotion gives depth to your life. It signifies that even though nothing is permanent there are things you were courageous enough to care for. Sadness reminds you that you are your own person who has its own needs and desires. It reminds you that maybe you should spend more time and energy doing the things you like. It signals other people that maybe we are in need of help or emotional closeness so they can offer that to us. It signals us to let go so that we may have time to create a room for something new and welcome the change that is taking place, if that’s the case. When intense sadness continues to grip you even after a good cry, it’s best to speak to someone close to you and tell them all about how you feel. If this emotion continues check in with your doctor or therapist. Sadness has a tendency to affect your physical health and may interfere with your sleep, hormones or eating habits. Sadness must not go beyond what it’s intended to be in your life. In case of a grief, it takes a longer time to heal; just allow the process and be gentle with yourself. But whatever the case, feel your sadness, do not try to run away from this emotion. That’s how depression is created. Shame is the natural emotional consequence of wrongdoing. Shame tells you that there is some aspect of yourself that you do not like so you can either accept it, or do something to improve it. It’s a signal that there is something that makes us feel like we are not good enough to exercise our power. It’s either a part of ourselves we abandon or a part that we want to fix as to feel whole. However, you should be aware of the two kinds of shame that may be bogging you because one is healthy while the other one is not. “Appropriate shame” is the right shame that you feel for a wrongdoing you’ve done. It gives allowance for amendments and gives you the chance not to commit the same deed again. “Applied” or “Foreign” shame is a self-deprecating shame that you picked up from others’ shaming messages. This is one you should avoid because it’s highly toxic, making you feel not worthy or not good enough. Guilt tells you that there is a part of your personality that is not in alignment with the moral code you honor so you can learn from your mistakes or redeem yourself for your mistakes through a certain action. Guilt is like a program that puts your energy on hold so you can check and recalibrate yourself to make sure that you do not use your energy against the things you stand for. Most people project their guilt by blaming others. This is how they run away from feeling their emotion of guilt. This way they do not fix the part of their personality that’s out of alignment with their moral code but instead, project and judge that part in others. Until we take responsibility for our actions we cannot forgive ourselves and learn from our mistakes. Sometimes the guilt we feel is not even ours but until we rationally evaluate and defuse it, it will stay there. Unlike most people think, envy is not the negative side of this emotion. In fact, envy tells us what others have that we would like to have for ourselves. It gives us a glimpse of our true desires and passions in life. It’s not destructive. You do not like the other person to not have what they have but you want you to have that thing too. But if we run away from our healthy envy and try to suppress it, it becomes a monstrous type of this emotions we know as Jealousy. Jealousy is destructive. It’s an emotion that results in hate. It’s not anymore about realizing what we want, but about wanting the exact same thing the other person is having. It’s a state of mind where you don’t even care if you have what the other person is having as long as none of you has that. When envy is acknowledged and allowed to flow freely without being too obsessive or greedy, you are able to navigate in your social circle healthily and know what you really desire. The quick solution to jealousy is revealing it to the one you are jealous of. By letting it out in the open jealousy becomes envy again and loses its destructive force. Now you can use it to find out what you really desire and try to get that for your own self.